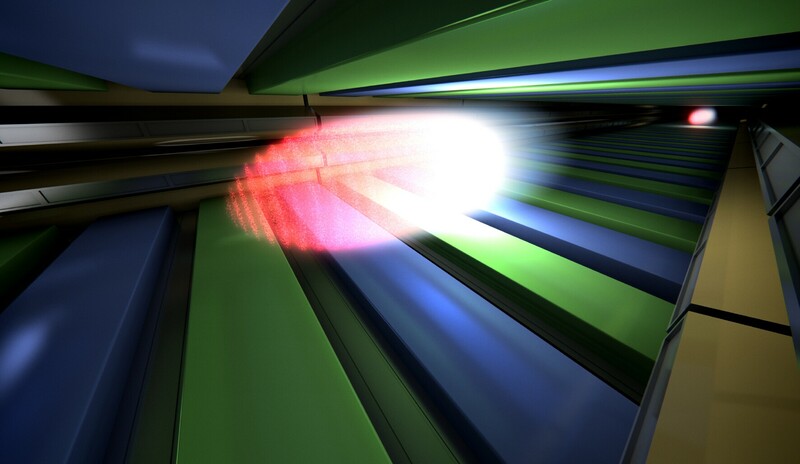 The European XFEL is a new, powerful X-ray laser in northern Germany. It provides scientists from all over the world with ultrashort X-ray flashes – 27 000 times per second and with a brilliance that is a billion times higher than that of the best conventional X-ray radiation sources – that is opening up completely new research opportunities for scientists and industrial users. The European XFEL is a 3.4-kilometre-long facility located mainly in underground tunnels. It runs from the DESY research centre in the city of Hamburg into the neighbouring German federal state of Schleswig-Holstein. The construction and operation of the facility has been entrusted to an independent research organization, the European X-Ray Free-Electron Laser Facility GmbH (European XFEL GmbH), a non-profit limited liability company under German law that has international shareholders. It was founded on 28 September 2009 and has a workforce of about 300 people. At present, 12 countries are participating in the European XFEL: Denmark, France, Germany, Hungary, Italy, Poland, Russia, Slovakia, Spain, Sweden, Switzerland, and the United Kingdom. The European XFEL is being realised as a joint effort of many partners. To this end, the European XFEL GmbH cooperates closely with the DESY research centre and other organizations worldwide. To a great extent, the European XFEL facility was realised by means of in-kind contributions by shareholders and partners. The European XFEL facility consists of a superconducting linear particle accelerator that boosts electrons to high energies. The electrons are then directed through long, special arrangements of magnets (undulators) in which they emit extremely short and intense X-ray flashes with laser properties. These X-ray flashes are then distributed to initially three beamlines with six experiment stations. Using the European XFEL’s brilliant X-ray radiation, physicists, chemists, biologists, and other scientists from all over the world are be able to map the atomic details of viruses, decipher the molecular composition of cells, take three-dimensional images of the nanoworld, film chemical reactions, study processes such as those occurring deep inside planets, and more. The new X-ray laser facility is opening up areas of research that were previously inaccessible and thus benefits a whole range of scientific fields – among them medicine, pharmacy, chemistry, physics, materials science, nanotechnology, energy technology, and electronics.